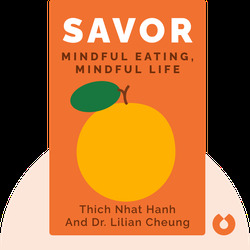 Savor (2010) provides advice and inspiration on how to find inner peace, joy and strength – especially for those trying to sustainably lose weight – with Buddhist teachings and techniques for appreciating the richness of life in the present moment. 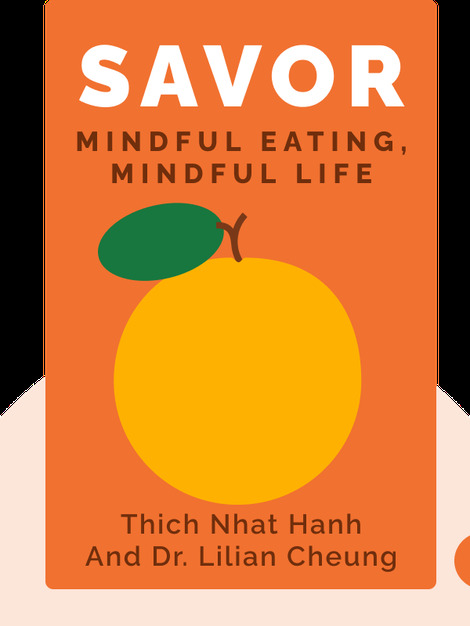 It also draws on the latest nutritional science research on the best ways to eat and exercise, presenting readers with a holistic method for improving their physical, psychological and spiritual well-being, and thereby transforming their lives. Thich Nhat Hanh is an internationally renowned Buddhist monk from Vietnam. He is also a peace activist, and runs a meditation center in France called Plum Village. Lilian Cheung lectures at the Harvard School of Public Health. She is also the creator of “The Nutrition Source,” a website for journalists, health professionals and consumers.